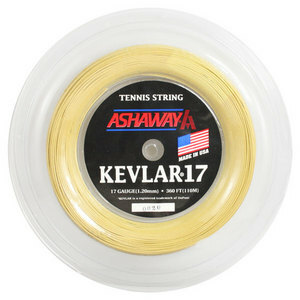 Frequent string breakers who want a string that blends power and control with excellent durability should consider Ashaway Kevlar 17G string. 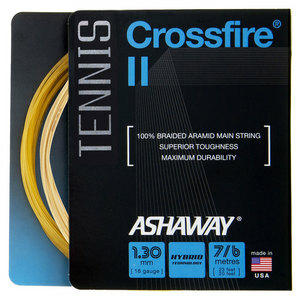 This string is built with 100% braided Kevlar (Aramid) construction. 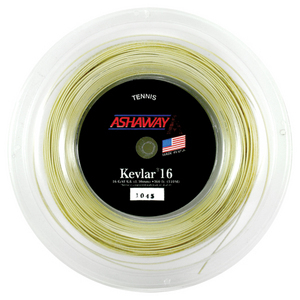 Braided Kevlar offers tremendous ball bite on contact for exceptional control and access to spin. The material is also extremely resistant to notching, making it ideal for use in either a full set or in any hybrid configuration. 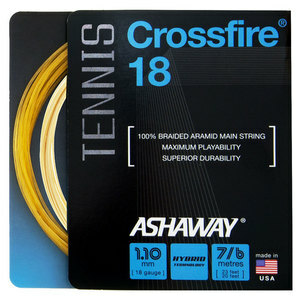 The 17 gauge diameter strikes an excellent balance between power, feel and durability. 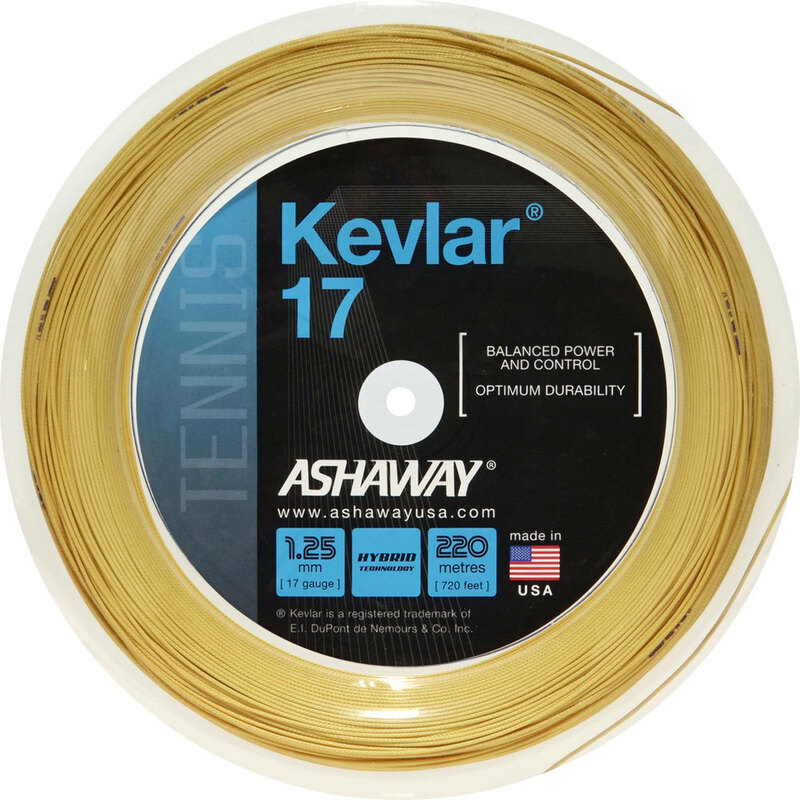 Frequent stringers will find the maximum value by investing in the 720 foot reel option, lowering the overall cost per string job over the life of the reel. 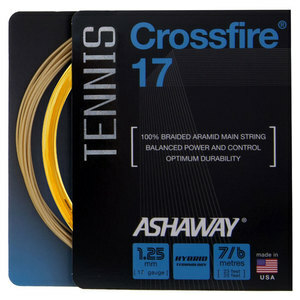 Ashaway Kevlar 17G gives chronic string breakers an option that has high durability with a blend of power and control.